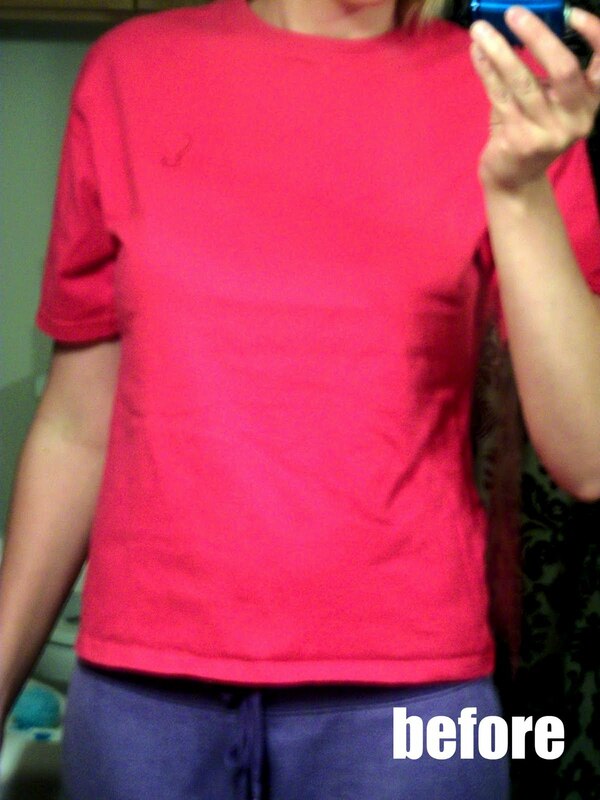 Okay so I started out with the hot pink shirt! I had big plans for the baby. 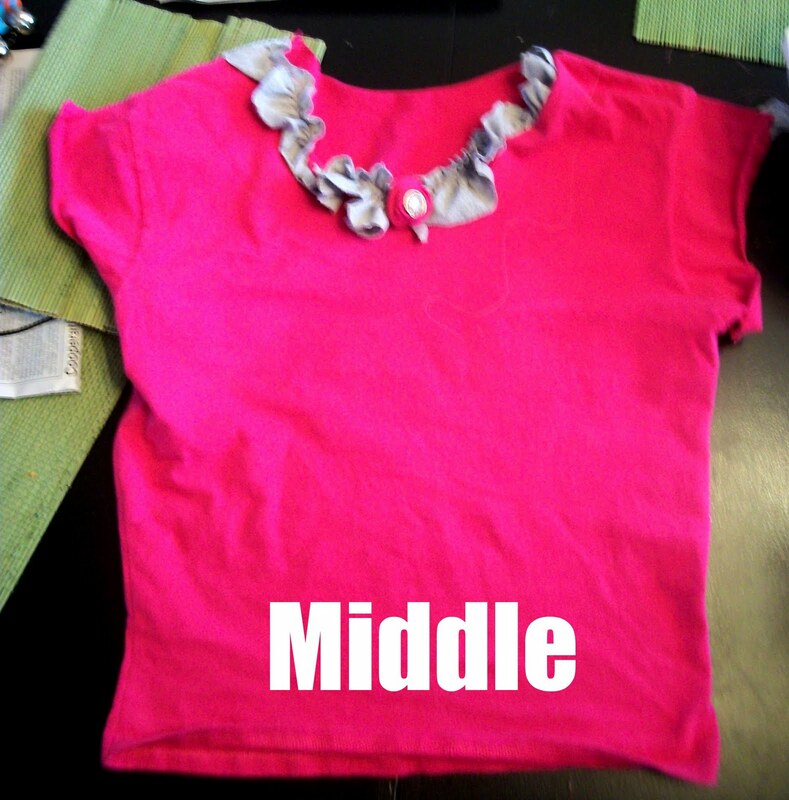 I got a grey shirt out of the 10 Cent pile for the ruffles ( I know I splerged.) I cut the arms and neck they way I wanted it, and then I cut open each side and sewed it to be a litlle more fitting. Then I got the rufles made and sewed them on. Looks pretty good in the pic right? Well when I tried it on the ruffles didnt match and I knew I wouldnt wear it. So instead of tossing my 20cent project in the trash I thought, What can I do with this? I thought I could make a bag out of it for library book. Or whatever we just happen to need a library bag. So I cut it a little smaller and just poked holes threw the sides and tied on the extra material I cut. And Viola I got a cute bag/purse! I bet you never would have thought you could do this for 20 cents! Good idea! I'd totally rock that bag at the library! Wow! How do you come up with this stuff!!? That is really cute!